Mature Height 40 - 50 ft. Fast-growing shade is at the tip of your green fingertips! A green thumb is not required to grow the low- maintenance Hybrid Poplar. This shade tree displays some of the fastest growth of all fast-growing trees – between 5 and 8 feet a year. Plant a Hybrid Poplar for the pleasing and fast-arriving summer shade, which it will provide in just a few short seasons. 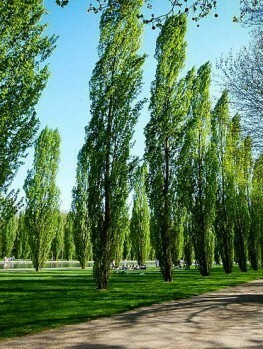 Even if you live with winter cold of minus 40 degrees or scorching summers, the Hybrid Poplar will give you fast-growing shade as well as drought-tolerance and pest resistance. Hybrid Poplars also provide perfect firewood in as little as 5 years, making them a great choice for homeowners looking for a quick hardwood forest to use in the winter fireplace or summer fire pit. 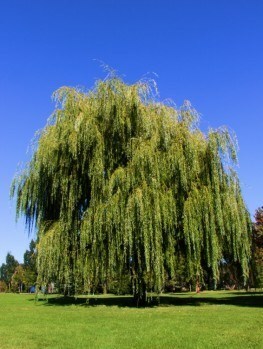 The Hybrid Poplar has become popularized throughout the United States as a fast-growing shade tree. 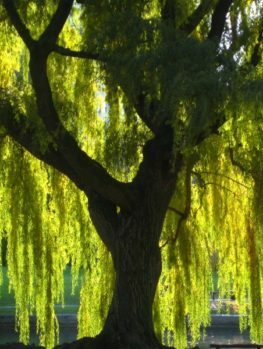 Gaining somewhere between 5 and 8 feet a year, the Hybrid Poplar quickly reaches to between 40 and 50 feet in height – the perfect size for a shade tree. The rich, green leaves of the Hybrid provide a dense upper canopy through which sunlight is cut off, providing the perfect resting place. Don’t forget that shading a yard and house can also drastically reduce air conditioning costs. 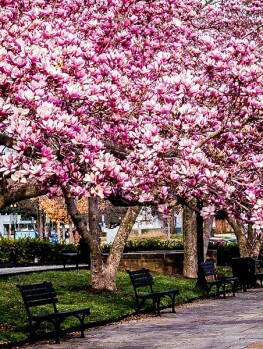 Many homeowners choose to plant the Hybrid Poplar for this reason. Fast shade can be yours in a few quick growing seasons. The growth rate of the Hybrid Poplar changes based on the planting location, planting methods, watering schedule, and daily care at home. Generally, you can expect to see very fast growth; between 5 and 8 feet per year. Fertilizers can be used to induce even faster growth, although they are frequently unwarranted. 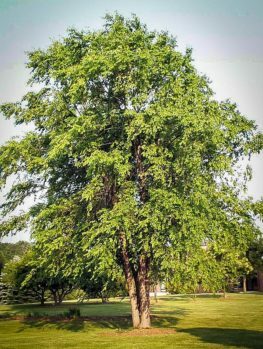 The Hybrid Poplar has quickly become one of the most popular landscape trees in the United States; and for good reason. Fast-growth paired with eye catching beautiful shade. Although fast-growing trees have long been popular, fast-growth can be a double-edged sword. If the wood in a tree grows too quickly, it can become too weak and break easily. Not so with the Hybrid Poplar, which is frequently used for firewood. The Hybrid Poplar’s fast growth is part of the reason it is often used as a shade tree on properties looking to add tree growth quickly. Why wait 30 years for a tree to produce shade, when the Hybrid Poplar can provide similar growth in just a few short years. Within 5 years, the Hybrid Poplar will be strong and large enough to provide adequate firewood. The Hybrid Poplar is one of the few trees that grows easily throughout the United States. Rated hardy for USDA Hardiness Zones 3-8, the Hybrid Poplar prefers moist soil that drains well. Unlike many trees that have specific pH requirements, Hybrid Poplars adapt readily to either acidic or alkaline soils. One of the reasons the Hybrid Poplar is so popular is because it requires so little special attention. Give the young sapling adequate water and proper sunlight, and watch it grow! The best way to ensure successful growth and growth rates is to use mulch. All you need is a 3-inch layer of mulch in a 3-foot radius around the base of your tree. Natural mulches, such as those made of wood chips, work best as these will eventually decompose to add nutrient-rich matter to the soil. 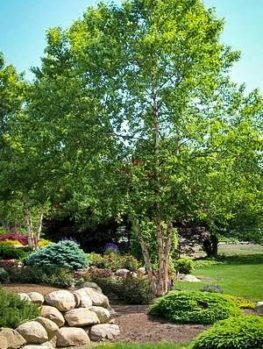 The pleasing oval shape and color of the Hybrid Poplar also make it an attractive shade tree. 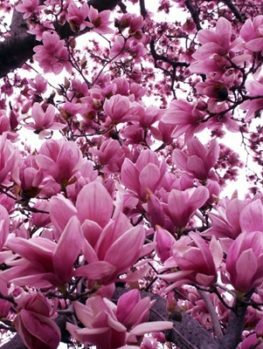 Although these deciduous trees can be stunning when situated on their own, many landscapers choose to plant several in rows. This creates a shade pathway that can border a driveway or entryway. The colors of the Hybrid Poplar can also be quite lovely. In spring, light green shoots will tell of the coming year’s growth. Summer will bring dark, rich green leaves that provide shade for you and nesting areas for birds and small mammals. In fall, the green leaves will turn to a vibrant yellow-orange, vivaciously coloring the autumn skyline in your neighborhood. The Hybrid Poplar will reach to between 40 and 50 feet tall once mature. The width of the tree varies also, resting somewhere between 25 and 35 feet. Maturity will come quickly with such a fast growth rate. Besides buying your Hybrid Poplar from a reputable arborist (such as The Tree Center), the next best provision you can make for your young sapling is proper planting. First, find a location in full sun, though some partial shade can be acceptable for the Hybrid Poplar. Next, dig a hole that is three times the width of the root ball. This will vary on the age and size of the sapling you purchase. The hole should be 1 inch less deep than the height of the tree’s root ball. Hold the tree vertically in the hole and backfill using soil and water. Once the hole is refilled, apply mulch and water as needed. Be careful when purchasing your Hybrid Poplar! 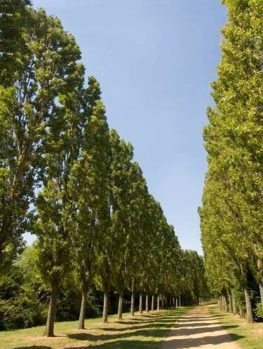 Not all Hybrid Poplars are the same, and many cheap nurseries will replace the highest-quality bred specimens with low-quality timber grade only plants. Though the Hybrid Poplar makes excellent timber, the longer-living, healthier specimen is one bred for landscaping. These nurseries are trying to cut costs by replacing the valuable Hybrid Poplar with a cheaper variety – and leaving you to carry the burden! 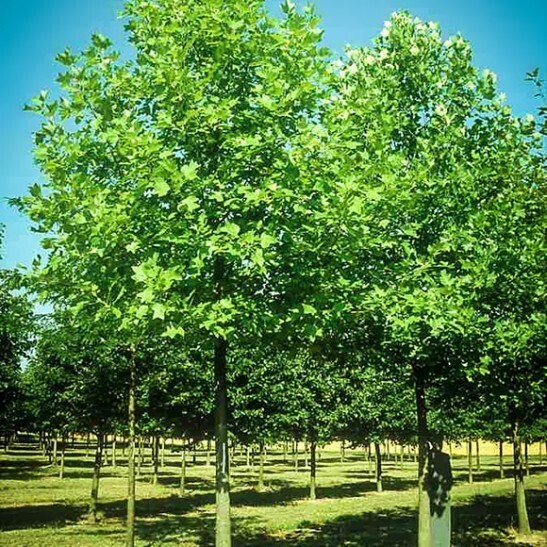 When you buy your Hybrid Poplar sapling from The Tree Center, we provide you with the highest-quality, best of the breed varieties. The highly-trained staff at The Tree Center love and care for the trees under their wing, and they will put the highest emphasis on developing a young sapling ready to provide you the fast-growing shade for which you’ve been searching! What are you waiting for? 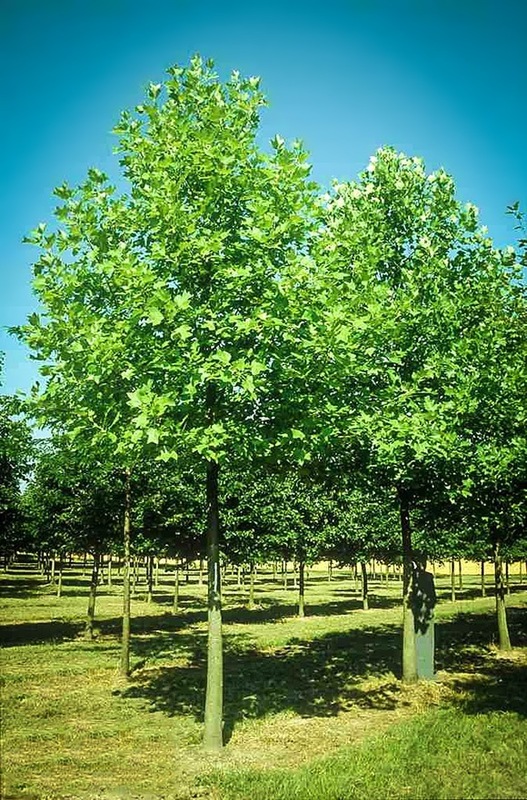 The Tree Center has a wide range of Hybrid Poplar’s available as you begin on your fast-growth shade tree planting endeavor. But hurry! Our supplies are limited and our stock is always changing. This popular landscaping tree sells out quickly. Visit The Tree Center today to order your new sapling.